You are here: Home / rewards programs / Disney Movie Rewards / Disney Movie Rewards: up to 125 FREE Disney Movie Rewards points! There are three new Disney Movie Rewards codes available which will give you up to 125 Disney Movie Rewards points when you add them to your account! You can earn additional points by completing surveys and special offers. They’ve added new rewards, too! 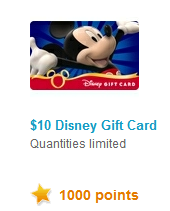 They have a $10 Disney Store gift card for 1,000 points! I had enough points to get three $10 gift cards, which will come in handy for our trip to Disney World next month. They’ve got $10 Starbucks gift cards, too! Supplies of gift cards are limited, so if you have enough points, hurry and grab them while you can! 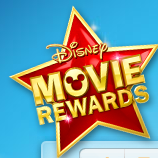 Disney Movie Rewards: 50 point bonus code! Disney Movie Rewards 25 point bonus code PLUS Starbucks gift cards in stock! 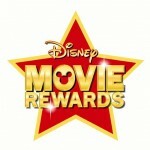 Disney Movie Rewards: 50 bonus points! 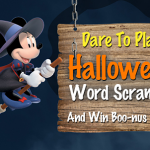 Disney Movie Rewards Halloween Word Scramble: get 25 bonus points!